Very often we think of buying from our kitten a luxury accessories for dog for example, but we do not think of offering him a small design bed. 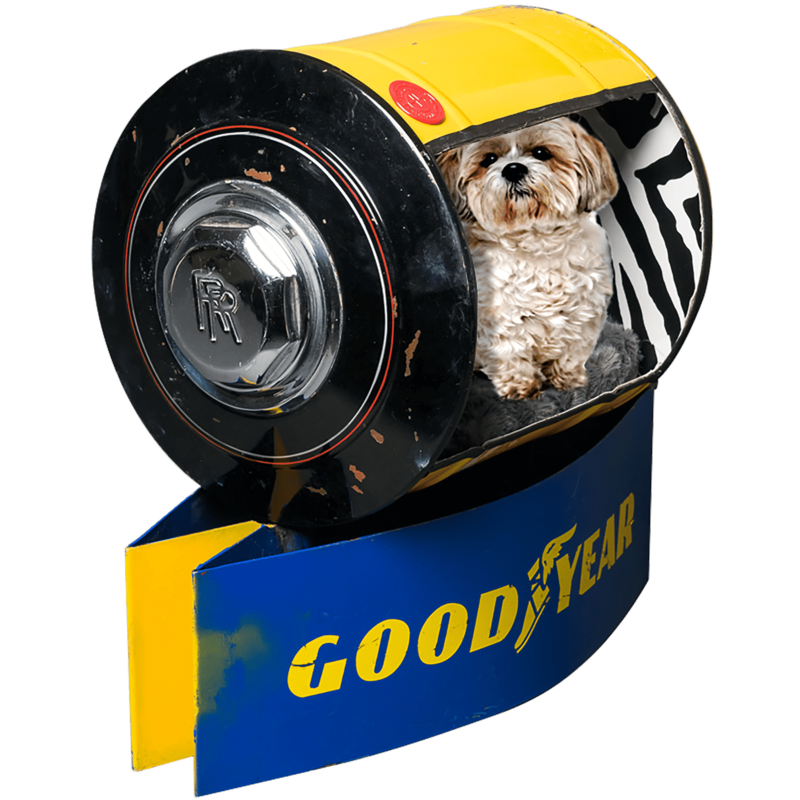 And well, here is an accessory for Cat/Dog developed with parts Rolls Royce Silver Wraith , diverted from their function. Example! This below, here is parts Rolls Royce Silver Wraith. So, if Madam either Sir is a fan of Rolls Royce, you will have a joint gift with your young protected on the theme Silver Wraith Rolls Royce. Constructed 3378 mm long from 1946 to 1959, first Rolls-Royce after the second war. Only 639 were made. With novelties on parts Rolls Royce, with compared with the model of front war. In particular helical competences)for suspension before and semi-elliptic for the back. In 1951 the capacity was brought to 4 566 cm3, then on models long serif(footing) in 4 887 cm3. Outing of a box 4 speeds, from 1952 an automatic option is proposed by General Motors. Endowed in the new parts Rolls Royce of a new device(plan) of in front hydraulic brakes and in the back a system mechanics, patented by Hispano-Suiza. 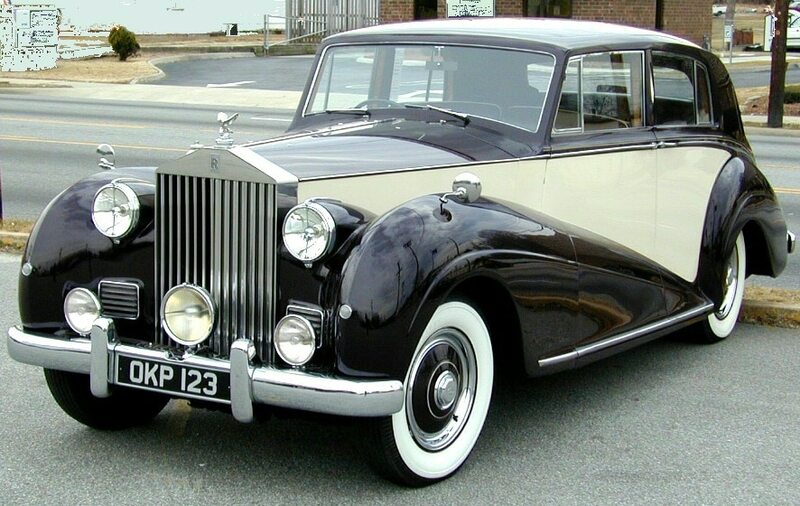 Worth knowing(Namely), that it was built all the same under license Rolls-Royce, it was the last model to be able to benefit from a custom-made body. 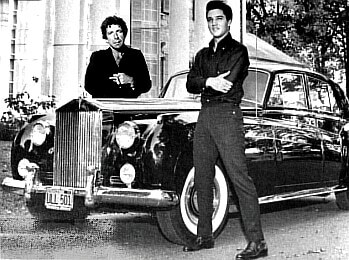 The Rolls-Royce firm collaborated in the myth and the legend since the birth of the Rock ‘n’ roll. It is by these words that was elaborated Rolls-Royce Wraith, title » Inspired by Music « , with copper-colored tint inside on the whole dashboard. The music with a 1.300 watt power via 18 loudspeakers, the creation of this model lasted two years of preparation. And so in some lines I spoke to you about the firm of its parts Rolls Royce? To note that Rolls Royce, and its status cars is designed since 1904, in England in West Sussex, very close to the racing circuit of Boodwood. Indeed, parts Rolls Royce (who the logo of this hub cap(adorner)) was designed by Charles Rolls. After his death in 1910, both letter » RR » was not any more in red but in black. 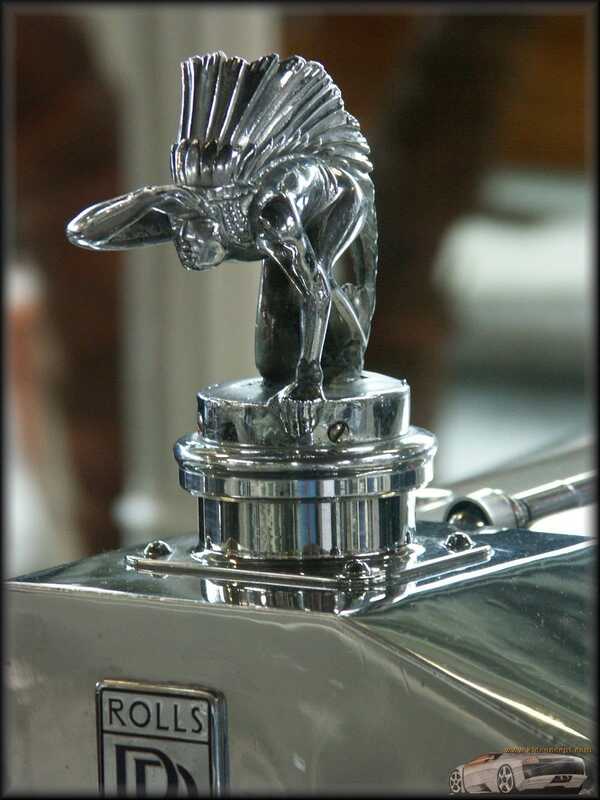 This date indicates us the period of parts Rolls Royce of this creation. Besides, in 1998, the owner of the mark, Vickers decides to sell the Rolls-Royce Motors firm. The best offer in summer made by Volkswagen, proposing 430 millions. First of all, the foot of this artistic creation coming from a classic art display stand of tires Goodyear, here is some details of mark Goodyear, known all over the world. In particular, thanks to the lunar module MET of Apollo 14 which is equipped with tires XLT Goodyear.small video in 1971 of live Apollo14 take-off . 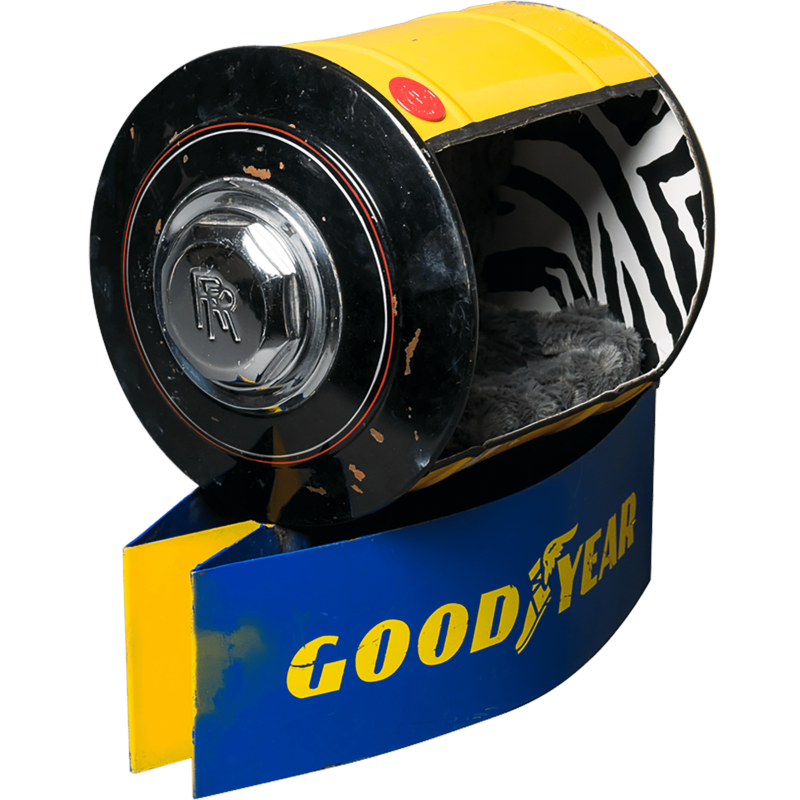 Finally Goodyear is as this decoration parts Rolls Royce, environment-friendly. 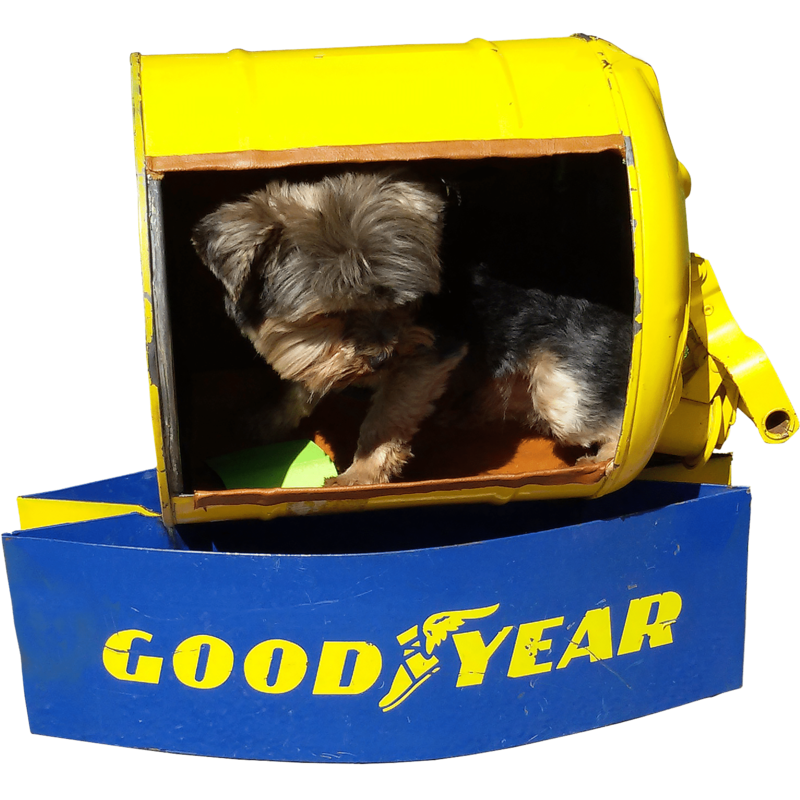 Come out, that the GOODYEAR firm in invented the BioTRED technology, a material for tire with starch in 2001. This ecoresponsible tire, was certainly presented for the sale of tires, on our support(medium) GOODYEAR diverted(hijacked) from its function(office) to serve as foot in this creation with parts Rolls Royce. Finally, the automotive sculpture of the furniture decoration car part, it is not because accessories for animals, it is also of the furniture for the house. So, you will find a automobile present car, gift for enthusiast of automobile and motorcycle. And it is true with parts Rolls Royce, of luxury car Bentley, Mercedes, Skyline Nissan, Peugeot 203, Juva 4 Custom, Porsche, object coccinelle etc. 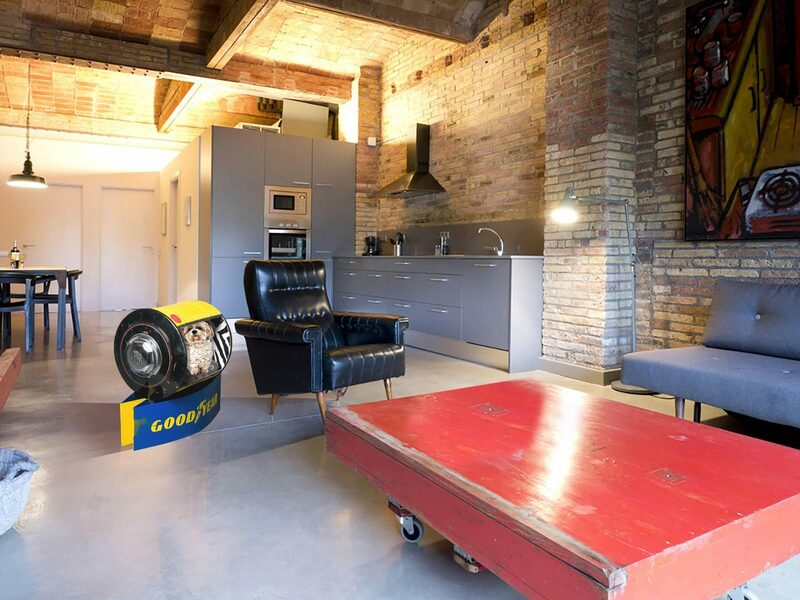 So, thanks to this style furniture with spare parts prestigious garage, from now on the trees unusual cats on the theme decoration parts Rolls Royce dislocate, is now possible. 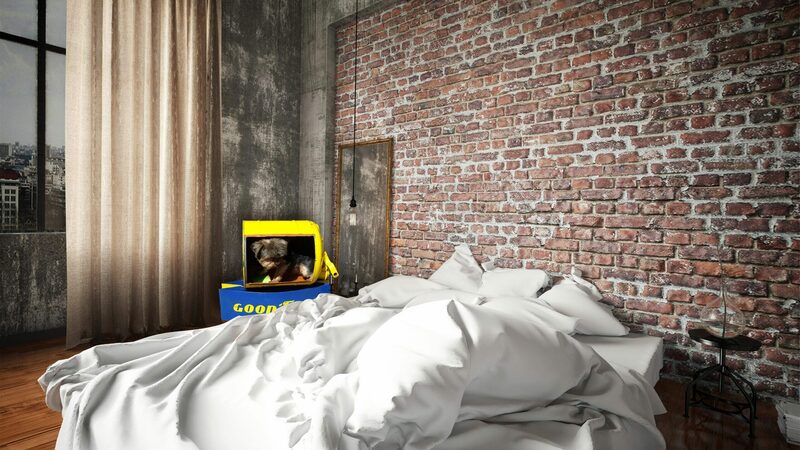 But, as well the bed luxury dog, that the accessories VIP Chihuahua. So, he is more esthetic to have in his lounge, of the furniture and the luxury animal accessories, tree with luxury cat, which we want to show. 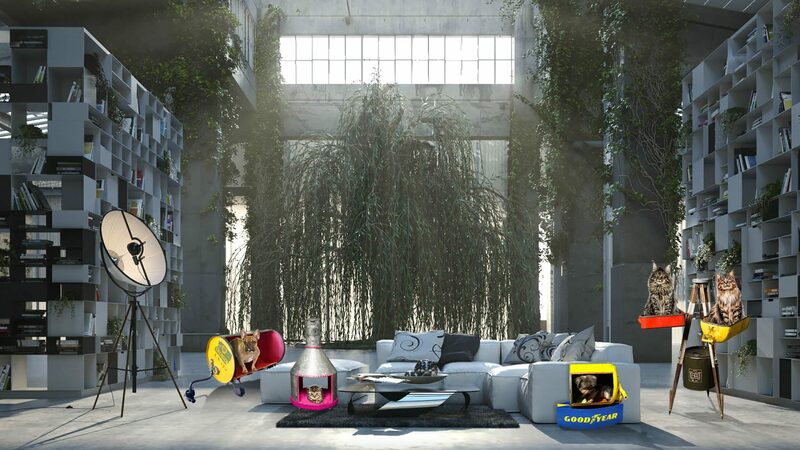 And it is true with the smart furniture with prestigious car parts, Rolls Royce, Bentley, Mercedes … for cat or dog. It is for it among others, that this creation with rooms Rolls Royce is made for enthusiasts of luxury car.